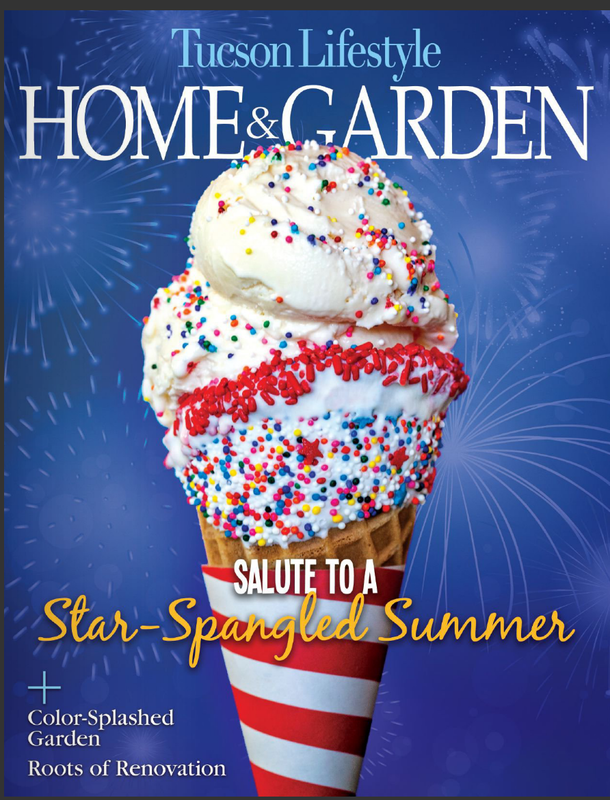 The July, 2014 issue of Tucson Lifestyle Home & Garden Magazine features my photo of a sprinkles dipped ice cream cone. Recipes and photos from my book, Sprinkles! : Recipes and Ideas for Rainbowlicious Desserts are featured inside. I am happy to announce that the cover won a Silver Addy Award for 2015 in the editorial category.